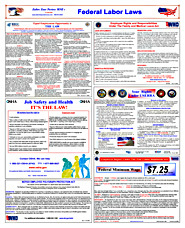 ​Oregon Labor Law Posters - Employers are required by the US Department of Labor and also by the State of Oregon Government. Guarantee your Business to be fully compliant for your mandatory labor law posters for 2019. 5. Oregon OSHA - Safety & Health Protection on the Job 6. 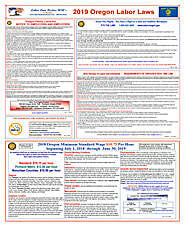 Workers' Compensation - Poster controlled by Oregon Dept of Consumer & Business Services. 7. Unemployment Insurance - Poster controlled by the Oregon Employment Dept.